The latest addition to my eyeshadow collection is this gorgeous 'Berries' palette by BYS that has been getting a lot of attention within the beauty community. 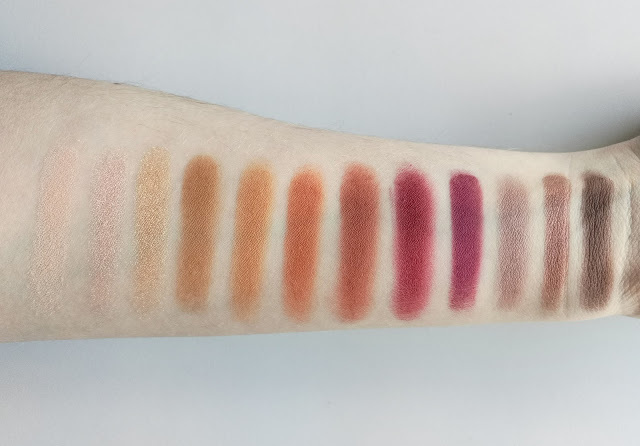 So I thought, I better get you guys in on what all this hype is about and finally write this post for you all because this palette has totally won me over. BYS are a local cosmetic company (right here in Victoria Australia) who offer a wide variety of budget-friendly makeup products including nail polish, lip colours, blushes and everything else in between. They are 100% against animal testing which is fantastic, so if you're all about cruelty free makeup then I think BYS are definitely worth taking a look at. I feel like they have really upped their game over the years by releasing such an impressive range of products for all of your makeup needs, and I've noticed how on-trend they are as well which has gotten me super excited to revisit their display. It actually took me a while to get my hands on this palette because once word got out that this is a dupe for the much loved Anastasia Beverly Hills 'Modern Renaissance' palette, it was out of stock at my nearest Kmart's for the longest time, so I'm happy to have finally snagged one to see what all the fuss is about! 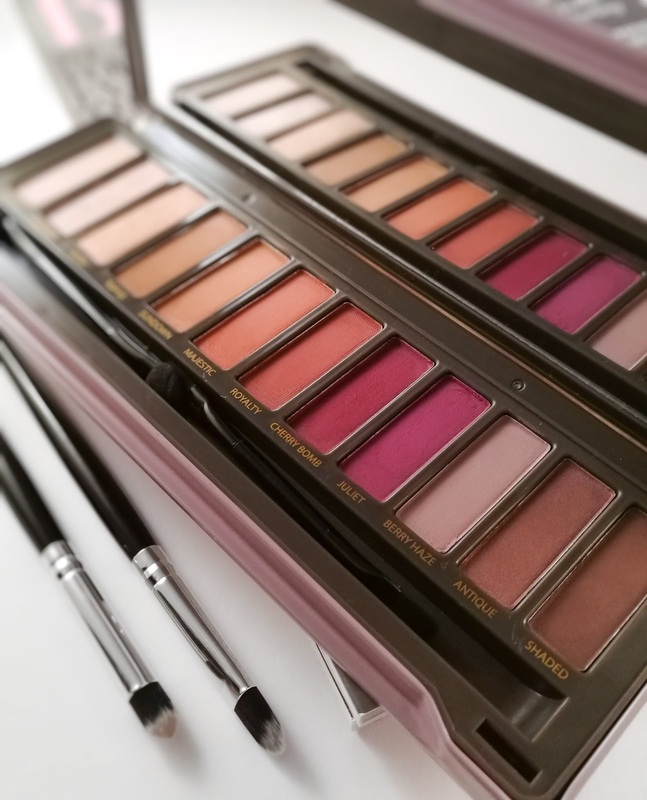 First of all, the overall design and tin casing reminds me of Urban Decay's 'Naked 2' and 'Naked 3' palettes (which BYS have their own versions of), but the shades themselves closely resemble those beautiful warm Autumnal tones of the 'Modern Renaissance' and I am utterly obsessed. The palette comes with twelve shades (mattes and shimmers) as well as a large mirror and I have to say, I honestly didn't have high expectations but it became love at first swatch! The texture of these eyeshadows are very soft and smooth, and the pigmentation just blew me away. Two colours really caught my eye - 'Cherry Bomb' (deep wine) and 'Juliet' (berry-plum) which have Autumn written all over them, especially when used in conjunction with the shade 'Royalty' (burnt orange). There are a great selection of colours to choose from in this palette that can take your look from day to night for any occasion. 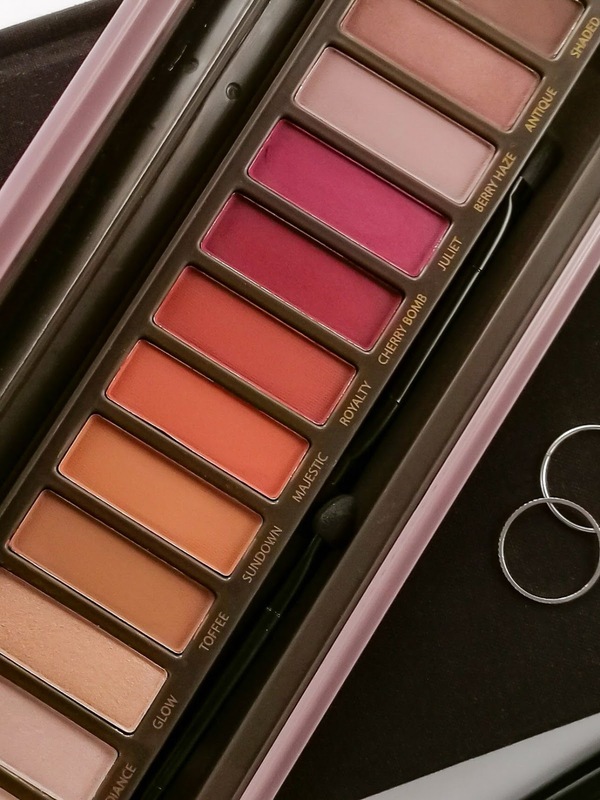 The first three shades would be perfect for creating a pretty and subtle eye look that I would normally wear for everyday, and they blend seamlessly across the eye lids. From left to right: Peachy, Radiance, Glow, Toffee, Sundown, Majestic, Royalty, Cherry Bomb, Juliet, Berry Haze, Antique & Shaded. 'Antique' is another stunning one as it's less of a shimmer and more of a metallic sheen. I would definitely apply this all over the lid and use 'Shaded' to deepen up the look for a sultry smokey eye. I absolutely love the look of 'Berry Haze' which is quite a unique mauve-taupe and I can see myself just wearing this shade alone on lazy makeup days! BYS have put a lot of thought into this palette in the way that if you sectioned it off into four, those three shades complement each other nicely so they've pretty much sorted your eyeshadow combination for you. All in all, I am mighty impressed by this palette. The colour pay off, blendability and overall quality is amazing for the price point. I have nothing negative to say about this palette, it has just ticked all the boxes for me and I highly recommend getting your hands on this gem because it's truly beautiful!